A former San Francisco 49ers stadium announcer who was fired after 30 years on the job has sued the team in federal court in San Jose for alleged age discrimination. Bob Sarlatte, who is also a public speaker and actor, was hired in 1984 and fired in 2014 at the age of 66, according to the lawsuit he filed Tuesday. The lawsuit alleges that as the team was aiming for its 2014 move to a new stadium in Santa Clara, it "engaged in a pattern and practice of eliminating its older workers, while attempting to rebrand the team as a younger, technology-driven organization." 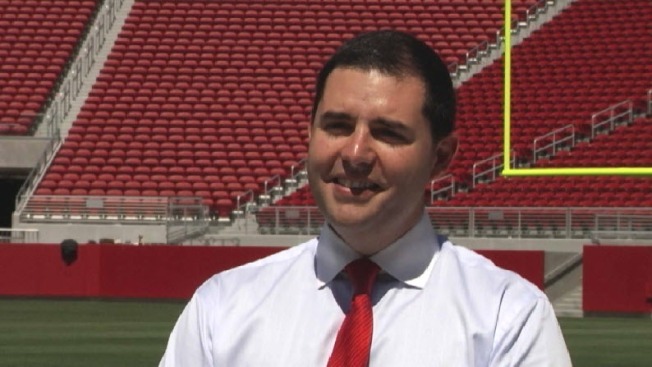 The suit claims the rebranding strategy was initiated in 2010 by 49ers CEO Jed York, who allegedly wanted to recast the team as a technology startup to promote the move from San Francisco to Silicon Valley. "In order to make room for the younger technology workers, York engaged in a campaign to terminate the older, senior employees within the 49ers organization," the lawsuit alleges. Sarlatte alleges that when he was fired, he was repeatedly told by a manager that the team "was moving in a different direction," but that after continued questions, he was finally told that the field announcer position was being eliminated. But the team allegedly immediately hired a substantially younger man for the same position in the next season, according to the lawsuit. The lawsuit claims violations of the U.S. Age Discrimination in Employment Act, the California Fair Employment and Housing Act, and California public policy. The suit asks for back pay, an additional punitive financial award, and reinstatement of Sarlatte in the announcer job. 49ers spokesman Bob Lange said, "We do not comment on pending litigation." In January 2015, two other former longtime employees filed a similar age discrimination lawsuit in federal court in San Francisco. That lawsuit ended in a confidential settlement in October. The two employees in the earlier case were represented by the same lawyer who filed Sarlatte's lawsuit, attorney David Poore of Walnut Creek. Poore was not available for comment today. The plaintiffs in the earlier case were former facility manager Anthony Lozano, fired in 2011 at age 56 after 22 years with the team, and former video operations director Keith Yanagi, fired in 2011 at age 59 after 25 years. Like Sarlatte, they claimed they were fired as part of the initiative to rebrand the team and hire young technology workers from Silicon Valley.